As a kid, Saturday mornings were the best. Captain Crunch and Cartoons, what could be better? 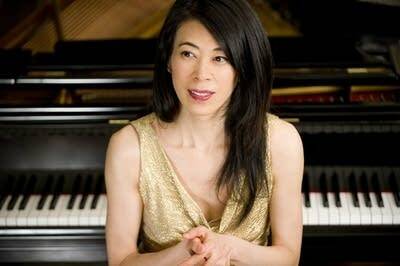 Growing up, pianist Jenny Lin has very fond memories of that first day of the weekend. "And I have very fond memories of my childhood," she says. "A typical Saturday was the most exciting day, because you didn't really have a lot of different things to do, because you could play and you could enjoy, you could visit Grandma and you could have your piano lesson." The story of Jenny Lin's childhood was recently rolled into a new recording called Melody's Mostly Musical Day. Jenny didn't have a piano at home when she was a little girl, but her grandmother had one. So, several times a week, Jenny would head to Grandma's house for her lessons and to practice. New Classical Tracks host Julie Amacher spoke to Jenny Lin about the new recording. Here's their conversation. So tell me about the story itself. Well, it's the story of me as a little girl. In the morning you play and you read and you do lots of different things around the house. I was reading things like Peter and the Wolf. Then there's lunchtime. And if you can get a chance to read the text from this piece by Satie which I have paired with lunchtime, it's really adorable how Satie mentions characters like the Princess of Green Beans and … these different characters. Then Princess Tulip then the Waltz of Chocolate with Almond. Those were the titles of the pieces Satie wrote and I thought that was perfect for lunchtime. And after lunch, I would go visit Grandmother. And there I would start with a piano lesson then would play in Grandma's house. And of course her garden and in her garden you meet lots of new characters — butterflies, bees, mosquitos. I like the Bumble Boogie, It's very bluesy and fun and catches your attention right away. Yes I found that by accident and I was so excited when I saw the score. And that was such a relationship … the Bumble Boogie has really made a relationship between the classical world and the non-classical world. And I loved how you included a piece by pianist and composer Stephen Hough. Yes, I got to know Steve from my previous recording with the Broadway arrangements, and he's such a hero of mine and the fact that he can play so beautifully and write. I'm sure everyone has a story about a jewelry box and I thought that was such a perfect piece. So what did you enjoy most about putting together this recording? You know, making a recording sometimes can be quite stressful but this was one of those recording sessions where I enjoyed every minute of it because I felt like I was in my childhood again. And with every piece I just I was just dreaming and had wonderful images and memories of what was happening. But what was important to me was that the music itself told a story. And the music can create images maybe of the listeners' own childhood. Not just my story but maybe your story? By listening to a piece it would remind you of something that happened to you as a child. 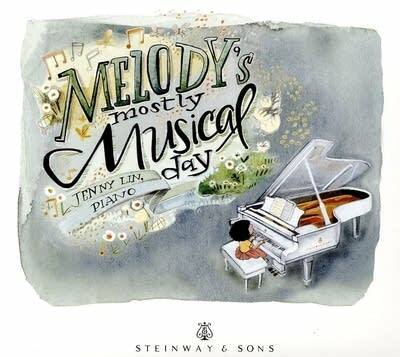 Remembering your childhood, through the music on Melody's Mostly Musical Day with pianist Jenny Lin.